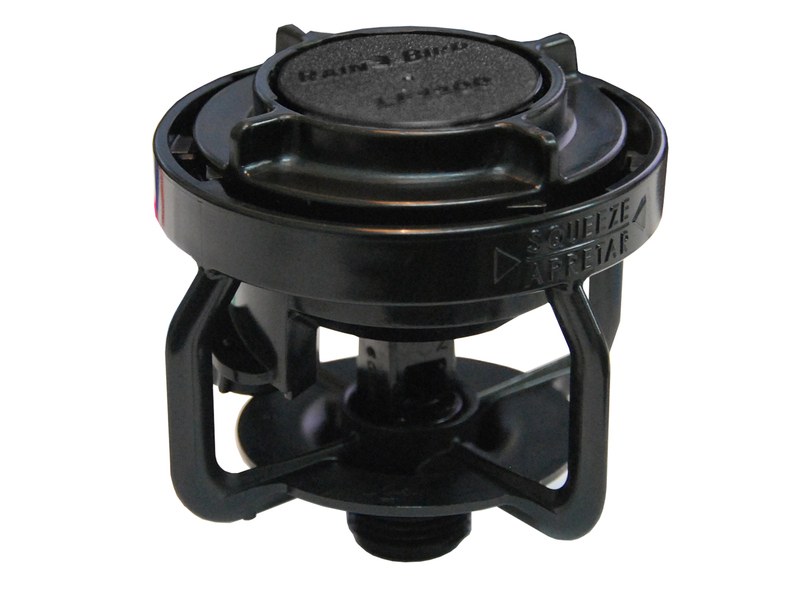 The Rain Bird LF Series Sprinkler is built rugged to withstand the harsh conditions in agricultural applications (nursery, grass or frost protection). It has been designed to combine the advantages of an impacts sprinkler with stream height flexibility that delivers precise, uniform and unrivaled water distribution. This low-flow sprinkler series offers full-circle operation with a variety of color-code nozzles and deflector inserts that snap into place with the push of a finger, making accommodations to every setup a snap. It can cover up 380 sq. ft. (35 sq. m) to 1,590 sq. ft. (148 sq. m), i.e. a 22' (6.70 m) to 45' (13.70 m) diameter.